For those of my friends who eat Chipotle on a regular basis (looking at you John Cox). This is worth a read from thoughtcatalog.com. You can find the original article here, by William Hudson. If you’re reading this, you probably know. But do you know know? Sure, Chipotle is a big deal in your life. You appreciate what Steve Ells, the Steve Jobs of burrito making, has created. It’s not only a big deal, but a good deal, and you know that. But do you know how to make it the best deal? Here’s how.You can get both beans. You will be asked: “black beans or pinto beans?”. This is a Chipotle mind trick to make you believe it’s either or. Actually, it can be both and. Every single day, it can be both and, at no additional cost. Just tell them how it is. You can get both beans (part 2). Execution is key. If you make your eventual position known from the start you’re going to lose this negotiation with Chipotle. Don’t leave money on the table. Answer the question with just one type of bean, like “black beans, please.” Timing matters. Wait for the beans to be applied to the burrito, then say “can I have pinto beans too?” This method ensures two full scoops of both. At first, you may feel more comfortable acting as if you had not yet considered that you’d like pinto beans too, until just the very moment in which you requested them. You’re still testing the waters. Later, you’ll get tired of keeping up appearances and just execute emotionlessly on the dual-bean option with perfect timing. You’re a rational creature now. Ask for fajitas in your burrito. They’re the grilled onions and peppers next to the rice and they’re hiding in plain sight. Why don’t they ask you if you want them every time, like rice, beans, and meat? I don’t know. Maybe they’re trying to keep them from you. Maybe they take you for a sucker. Say you want Fajitas too, and they’ll know that you know know. Make an informed decision regarding the guacamole. Once you’ve gotten to this stage you’ve said yes to everything, except maybe one out of the three salsas. That’s permissible. You can’t sink the whole enterprise in liquid. But now the guacamole situation requires a real value judgment. Basically, you could get two whole avocados at the market for the price of one scoop. Consider ordering a burrito bowl, and adding your sliced avocado on top. Ultimately the guacamole decision is a value call and you have to look deep within your heart and wallet to make the decision that’s right for you. NOTE: If you forgo the meat, the guacamole is free. Gift cards. Now it’s time to check out and also time to ask yourself: “What’s my highest-performing investment of the year?” The answer is Chipotle. 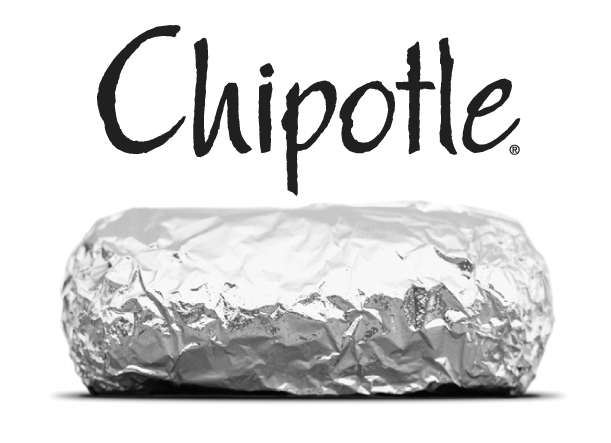 From now until the end of the year, whenever you buy a $30 gift card, you can use that receipt to get a free burrito WITH ANYTHING ON IT through Jan. 2013. That is why I now have $180 of Chipotle gift cards, for myself. You see, it’s essentially a buy 4 burritos ($30), get one free deal. i.e. a 25% return on investment. Now you just have to use the gift cards through 2013, ideally running out of gift cards on Nov. 1st, 2013, when you can start investing in gift cards again. 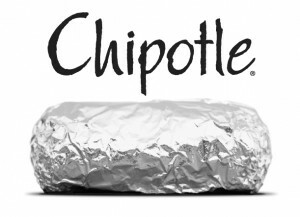 The Chipotle app. This is the biggest life hack of all time. When you’re burrito hungry between the hours of 11 a.m. to 3 p.m., or 4 p.m. to closing, chances are that you’re going to find yourself in line. But you don’t need a helicopter to avoid some traffic. Place your order on the app, and then go DIRECTLY to the cash register to pick up your order, sans waiting in line. This requires only 15 minutes of foresight to allow them to process your order, i.e. the typical amount of time it takes to get to Chipotle. This is not only an incredibly useful article for me as someone who frequents Chipotle, but it’s one of the funniest things I’ve ever read. I owe you a free burrito as a thank you for your authoring this important document. When can I buy?